A day after audio was leaked, revealing Donald Trump’s self-granted entitlement to physically harass any woman he happens to meet on the basis that he’s a “star,” a number of prominent people are working very hard to distance themselves from the candidate’s remarks. Trump’s running mate, Mike Pence, and his wife, Melania, have both called the comments offensive, and former candidate Senator John McCain has formally pulled his support. 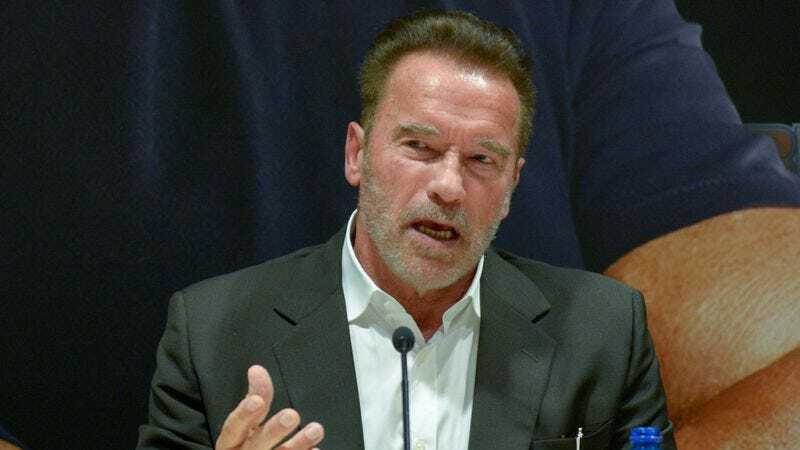 Schwarzenegger was announced as the new host of Celebrity Apprentice back in September. The NBC reality show—and its original, non-celebrity incarnation—massively raised Trump’s profile in the mid-2000s, leading, at least in part, to his current presidential bid. Meanwhile, poor Tic Tac has also had to make a statement on presidential politics, after being inadvertently named the breath mint of choice for powerful men who just can’t stop themselves from kissing and grabbing beautiful women, no matter what said women might have to say about it. The company issued a comment on Twitter today, saying “Tic Tac respects all women. We find the recent statements and behavior completely inappropriate and unacceptable.” As pointed out by several internet commentators, this is now the second time this year that a candy company has had to carefully step away from the political discourse, after Mars was forced to firmly refute Donald Trump Jr.’s “poison Skittles” metaphor for fleeing Syrian refugees last month.